Gaming chairs are a great idea for the dedicated gamer, and there are some superb options available for console gamers who want some comfort and a better experience with their gameplay. You can find a bunch of different gaming chairs compatible with the main consoles available, and, they’re also available with a load of cool add-ons for gamers to choose from. 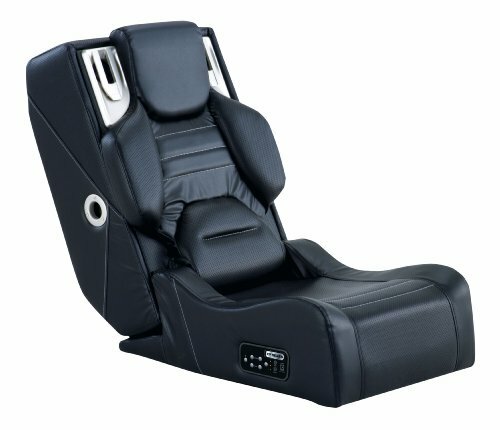 Many gaming chairs feature MP3 player attachments, speakers, and docks for game steering wheels and specialist joypads. Gaming chairs are also better for you physically than regular chairs, as they support you in the places that can be otherwise neglected when you’re gaming. This means better back support, head-rests to support your nut and your neck, arm rests and support for your legs. This means less aches and pains when you snap back to the real world, which means in reality that you can play your games more often with less negative physical effects, plus you’ll play better when comfortable! Plenty of the best gaming chairs also come fitted with speakers in the headrests to give you an even more engrossing experience, and of course a lot of them are supplied with headphone sockets so you can get the most out of your games without driving everyone else insane. The great thing about these chairs is, you don’t have to get one of the gaming chairs that is packed with features- if you want something simple and practical, there’s plenty of gaming chairs for you to choose from. So before you make your back and legs ache again, check out some of the best gaming chairs and get twiddling those thumbs on some stylish furniture. The Crazies: Check Out The Original Version As Well As The New Hit! The remake of The Crazies is doing very well right now, with a great many positive reviews flying about online and in print. This is a cool thing to see, considering it’s a remake of a cult low-budget flick from way back in 1973, which was directed by none other than Night Of The Living Dead mastermind George A Romero. The political satire aspect may have been toned down a bit for the remake in favour of more insanity, but it’s still a powerful remake. This original version is worth seeing for more than just curiosity though. It’s a brilliantly executed (and somewhat underrated) SF film with a horror edge that holds up well today even of the production values are less than impressive now. Holy payday, Batman! The comic book containing the first appearance of Batman, namely Detective Comics 27, has made history once again. A copy of the legendary comic has sold at auction for over ONE MILLION DOLLARS (Go on, put your Dr. Evil voice on and say it out loud). The auction of the Batman comic book took place in Dallas, where the 1939 released comic was sold to an anonymous bidder. This follows on from a recent sale of an early Superman issue for a million dollars, but the Batman sale out-priced it! The seller bought the issue of Detective Comics during the sixties at a price of $100, and had kept it in excellent condition ever since. This is an amazing amount for a comic book to sell for, and these two high profile sales are a boon to the interest in comics right now. Collectors will hopefully see prices rise a little for collectible issues, and with a number of big movies and games around featuring comic heroes right now, this does bode well for the continued success of the industry. Holy payday, Batman! The comic book containing the first appearance of batman, namely Detective Comics, has made history once again. A copy of the legendary comic has sold at auction for over ONE MILLION DOLLARS (Go on, put your Dr. Evil voice on and say it out loud). The auction took place in Dallas, where the 1939 released comic was sold to an anonymous bidder. This follows on from a recent sale of an early Superman issue for a million dollars, but the Batman sale out-priced it! The main human cast of Transformers 2 are said to be returning almost en masse for the third film in the series, due out July 4th 2011 (which will be up against the fifth Terminator movie, as it happens). Shia Labeouf and Megan Fox will be reprising their roles once more, but it is rumoured that at least one of their characters won’t make it through the whole film. Peter Cullen and Hugo Weaving are already signed up for the voices of Optimus Prime and Megatron for the third installment, and one wild rumour has it that a number of ‘human Decepticons’ are being sought for the film, which would point to the Pretenders subset of Transformers- people who contain slim, hidden transformers in a fleshy body. 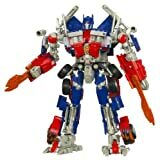 The military cast will also be returning for the third film, which is said to partially take place on Cybertron, the Transformers’ homeworld. There are no concrete plot details yet, but following on from the final shot of Transformers: Revenge of the Fallen, it would seem to ring true. At present there are no plans to extend the series beyond a trilogy, but right now anything can happen. There has long since been talk of Unicron showing up in the third film, but this has not been confirmed. Is that the Imperial March I hear? Hey…. there’s a brand new geek blog coming soon right here. Bookmark us, or we’ll send Shatner around to your house to sing at you.